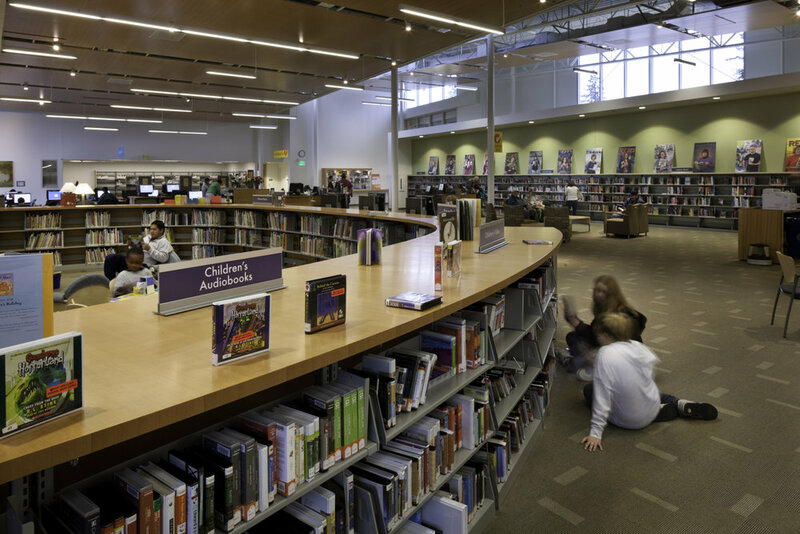 Nestled between a second-growth forest and a community center, the Cascade Park Library in Vancouver, Washington provides a natural living room for visitors. JA worked in collaboration with Opsis Architecture to design the new facility with the goal of creating an enduring model of environmentally responsible civic architecture and public hub for this rapidly growing suburban community. Within this glassy shelter of the Cascade Park Library, life cycle learning is key. Movement is linked with word and image in the children’s area. New modes of communication are explored in the juvenile and teen zones. 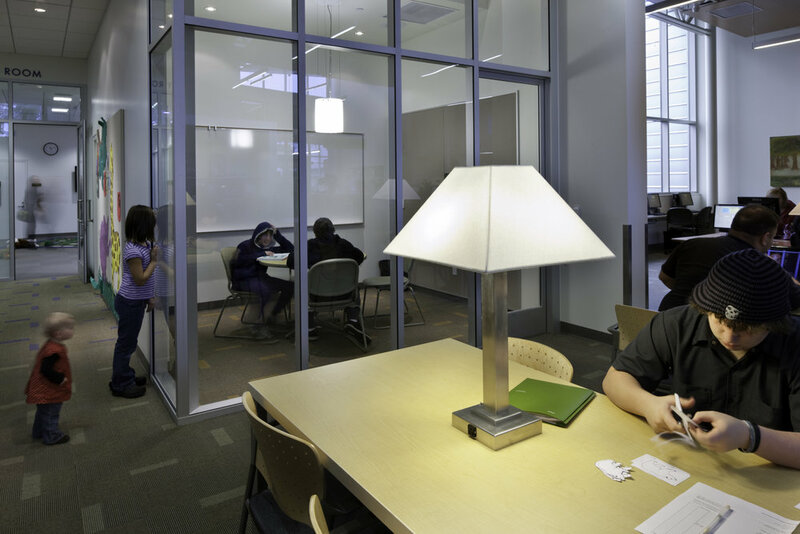 Innovative accommodations are made for adult education. 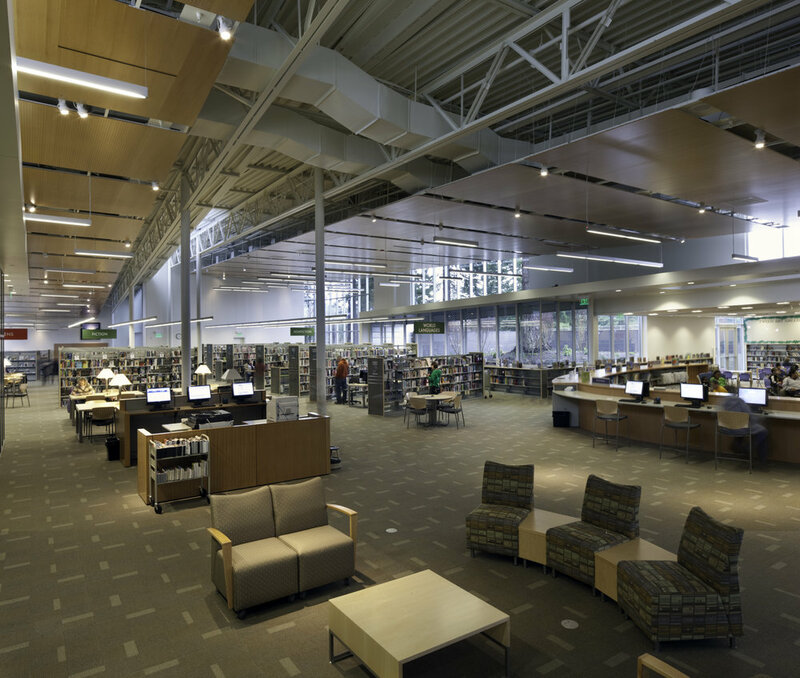 The library’s footprint is shaped to preserve significant tree stands, and its walls are placed to frame views while screening cars, parking and future development. Site-milled Douglas fir is used throughout as well as under-floor displacement systems for heating and cooling, extensive daylighting and on-site storm-water management with rain gardens. The design is forward-looking, sustaining and sustainable: a creative solution in a constantly changing landscape of information.